Cite page (MLA): "Browse by Location." Livingstone Online. Adrian S. Wisnicki and Megan Ward, dirs. University of Maryland Libraries, 2018. Web. http://livingstoneonline.org/uuid/node/c301ad6d-8a42-4467-854c-5ba54a7f63ad. 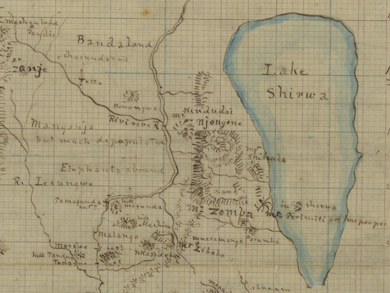 This experimental page allows users to browse Livingstone's manuscripts by the locations in which they were created or, as relevant, published. Users will find that the map relies on a fair degree of clustering. In some cases, Livingstone wrote multiple items from the same location. In other cases, he provided only vague locations (e.g., "South East Africa"). In many additional cases, particularly in terms of obscure African villages and waterways, the available data only allows us to place items in general areas. As a result, the map ultimately only assigns some 150 locations to the 3000 items in our digital catalogue.